Here's a look at the people, products and places that were in the news recently. Scandal, intrigue and mystery are no strangers to the world of banking. Little surprise then, Ravi Subramanian (39), Head (Consumer Assets and Credit Cards), HSBC Group, aims to be known as the “John Grisham of Banking”. An alumnus of IIM Bangalore, this career banker has spent 16 years working with foreign banks. His true calling, though, is writing fiction. Says Subramanian: “There are emotions, power, money and crime in banking. When brought together, these four elements create a brilliant recipe for a potboiler.” And he seems to have mastered it. His third book, Devil in Pinstripes, is slated for a November release. Set in modern day retail banking environment, the novel is about corporate politics. 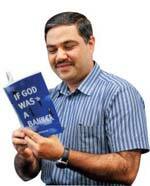 Subramanian’s debut novel, If God was a Banker, was a national best-seller in 2007 and has sold 10,000 copies so far. The book also won him the Golden Quill Award for Readers’ Choice for 2008. “If people think of a banking story, they need to think of me. That’s when I would count myself as a successful author,” he says. His second book, I Bought the Monk’s Ferrari, equally set the bookshelves on fire. Time for another blockbuster? You might have seen Skullcandy’s outrageously coloured earphones/headphones at music stores abroad. Now, you can buy them in India for Rs 1,799. The “Lowrider” was described by one tech reviewer as a “Skull Crusher”, thanks to its powerful bass drivers. This is not a product to listen to classical music on, designed as it is for today’s bass fanatics. Think of these as wearable subwoofers. And comfortable ones, too. So comfortable that you won’t notice the low frequencies turning your brain into mush. Maldives President Mohamed Nasheed and 11 of his ministers recently donned scuba gear to plunge into the Indian Ocean for a Cabinet meet to highlight the sinking island nation’s problems. Whether Maldives is, indeed, sinking is debatable, but what is beyond debate is the nation’s pristine beauty. Nestled in the middle of the Indian Ocean, the Maldives are a series of ancient coral reefs that grew around towering prehistoric volcanoes. When the structures sunk into the ocean, they left behind stunning coral islands. Visit Male, the capital, for its breathtaking beaches and to see the colourful shops and lively markets. 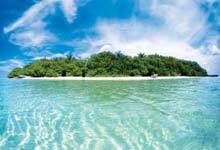 Also check out the southern Atolls for great surfing and scuba-diving experience. Direct flights operate daily from most Indian metros to Male. Is she dabbling in yet another venture? “Yes, it’s about leading the Modi Group into another area of diversification—after all, that is what we excel at,” says 34-yearold Himani Modi, Executive Director, UK Modi Group. Fresh from her four-month stint for a business programme at Harvard Business School, this youngest daughter of U.K. Modi is leading the group’s foray into entertainment. “This business is all about execution and catching the right moment. It often works on a fad,” she says. But her involvement does not appear to be passing in nature. She cut her teeth with Barcode lounge in New Delhi. After winding that up, she is now ready to launch “The O Experience” all on her own steam. Spread across 7,500 sq. ft in the Vasant Vihar area of New Delhi, her new venture hopes to offer an entirely green concept of hospitality. “We are looking to tie up with the UK-based ‘Exotic Nature’, a visual content provider,” she says. This facility will have an organic food store, café, lounge, discotheque and a fitness zone on its five floors. Tip: Watch out for the live bands, celebrities, nutritionists and stand-up comedians that are just waiting to troop in.